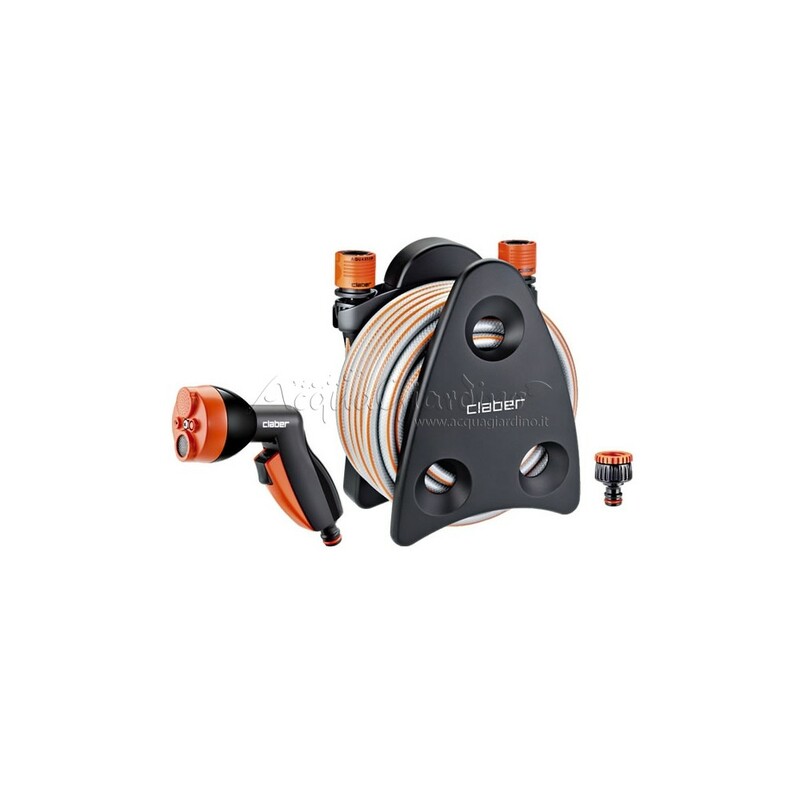 Compact hose reel with accessories, ready-to-use. Provided with retractable handle for ease of transport and placement. Wall-mounted. Easy-to-store, thanks to its conveniently located recesses, designed to house couplings, tap connector and pistol. 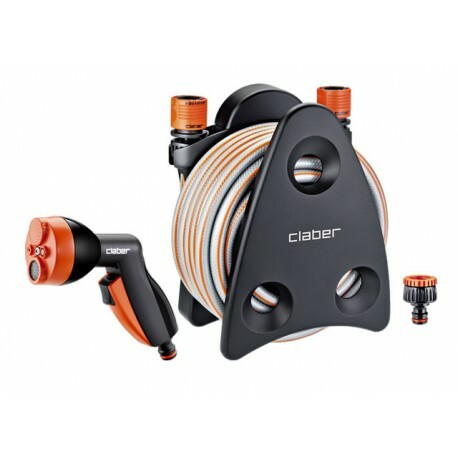 Includes: 10 metres of Ø9-13 mm hose, 1 x 3/4” connector with 1/2” reducer, 2 x automatic couplings, 1 x multifunction pistol with aerator.